Cumas is proud to be an official dealer for Cummins France. We are expert when it comes to marine engineering and a recognized distributor of diesel engines for recreational and service marine. 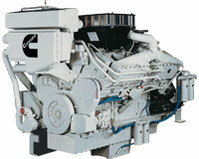 Cummins is the world leader in marine engines’ sector. 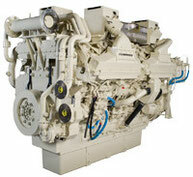 They provide a complete range from 50 to 2000hp with engines between 4 to 60 litres. 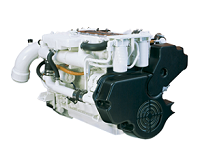 Engines are used for almost every application such as recreational, river transport, passengers’ traffic, freight transport… Cummins gives a very special attention to simplicity. Cummins brings simplicity to the most complicated, such as its products architecture, the injection system or the integration of equipment, in order to make things a little bit easier for you each time. Cumas has a network of sub-dealers and utility vehicles equipped. You will find assistance, wherever you are.